There’s a scene in the heart-wrenching 2008 film Frozen River, in which two impoverished women who smuggle people across the US-Canada border bring a dead baby back to the parents it was separated from. One of them drives, instructing the other to hold the baby close to her body so that the corpse will not be cold when they hand it to the mother. Something miraculous happens, somewhere between the warmth of the jacket the child is wrapped in, the skin it is close to, and perhaps the familiar sound of a heartbeat. For some reason, news of US First Lady Melania Trump travelling to and from a child detention centre wearing a jacket with the words “I really don’t care, do u?” (sic) reminded me of this movie, and this scene in particular. It does not matter that she reportedly didn’t wear it inside the centre, one of several where children separated from their families at the US-Mexico border have been detained. Many of those children don’t understand English. Some of us, watching, do. And we do care, but the message wasn’t for us, either. Some style statements are literal. Propaganda through fashion – and specifically, through styles created by private manufacturers not directly affiliated to governments – is not just for those in the public eye, as Ms. Trump’s own $39 Zara jacket is an example of. During World War II, textiles with lively prints were produced in the US and UK with concealed messages. An attractive red dress with black and white patterns donated to the FIDM Museum, Los Angeles, sewn in the 1940s, says in reversed writing: “There’ll Always Be An England”. Its wearer would be able to read the text when examining herself closely in the mirror, but would likely walk by countless people who did not catch its hidden message. In Japan at the same time, omoshirogara kimonos, depicting scenes of war and victory, were worn privately. The fabric was sometimes used as the inner lining of kimonos worn outside. India’s khadi movement was a public display of political sentiments. Charles Dickens’ novel The Tale of Two Cities features tricoteuses, women who knitted the names of those sent to the guillotine into their purls. Historically, women in the spectator seats of executions were indeed known to knit. Among their goods was the Phrygian cap, which unlike a crown was a symbol of democracy. Zara didn’t just make a random jacket put to strategic use, for in the recent past it has also used anti-Semitic and white nationalist motifs on clothing. Neither did Ms. Trump, whose image is carefully crafted, just throw on an outfit. It’s the kind of thing an obnoxious teen might wear to dinner with his parents, except that on her and on this occasion it was more like Cruella de Ville’s Dalmatian fur coat. Here’s a tiny consolation: in 2017, Turkish shoppers discovered notes sewn into Zara attire by unpaid workers hired by a factory which also made Mango and Next products. These notes brought attention to their plight, shared by workers worldwide. Some opinions are worn on the sleeve; but some truths are sewn into the seams. An edited version appeared in The New Indian Express on June 28th 2018. “The Venus Flytrap” appears on Thursdays in Chennai’s City Express supplement. “When I am an old woman, I shall wear purple” goes the famous poem by Jenny Joseph. Well, Aishwarya Rai is just 42, old only by the punishing yardsticks of the entertainment industry. She looks fabulous, but wouldn’t be forgiven if she doesn’t, or if she looked beautiful and aging. On the red carpet at Cannes, she appeared whimsical, winking at the camera in a lavender lipstick like it was the most natural thing in the world, while the world itself looked on aghast. The often-forgotten title of that poem is “Warning”. In it, a woman trapped in a conformist lifestyle promises to misbehave in her elderly years, and wonders if she should start practicing; she begins with wearing purple. Why is a woman putting on a cosmetic so temporary that she’ll only have to blow her nose once into a tissue to have most of it come off the subject of debate? “Debate” was a word actually used in headlines (why were headlines made because a woman wore a cosme… never mind). In one article, several inquiring ladies gave the shade a shot and found that that particular lipstick, by a brand that Rai is an ambassador of, does not retail in India. Their trip to two stores seemed to yield no equivalent, which led them to concoct the colour themselves through mixing white and purple eyeliners with a concealer base on their lips. They didn’t like the effect (their photos don’t have too many smiles, which may have made a difference). Which brings us to this ridiculousness: how does white eyeliner exist when a lilac lipstick, which is stunning when offset by the dark skin of so many Indian people, can’t be readily found? For local manufacturers and franchisees, my sapodilla skin is probably the swarthiest tone they consider. My even more dark-skinned friends must either fork out several thousand rupees per product for elite brands like MAC or Inglot, or forego skin cosmetics altogether. Similarly for more deeply pigmented colours which will stand out on an array on eyelids and cheekbones and lips. This isn’t simply about whether people can afford it, or even a hyper-ethical question of whether any of us should wear makeup. Beauty standards are enforced by diminishing not just diversity, but self-esteem, as envisaged and enacted through self-presentation. Here’s the thing: Rai may have made ill-advised fashion choices in the past but when it comes to this lipstick, my guess is it was neither faux pas nor advice. Some L’Oreal executive would have held out a palette of options and suggested a baby pink to go with the floral print on her dress or a bright scarlet to go with the blood-boiling rage against the system. Rai wore violet because she wanted to. Maybe her child liked it. Maybe she was making a subtle homage to the queer rights movement, whose emblematic hue is purple. I’d like to think that the Jenny Joseph poem was the most plausible reason. After decades of being micro-managed and body-shamed and made complicit in the way other women are manipulated and devalued – through a pastel smile, was she issuing a powerful warning? An edited version appeared in The New Indian Express on May 19th. “The Venus Flytrap” appears on Thursdays in Chennai’s City Express supplement. The muse writes back, and is far more generous about the marriage than the artist was. Maligned in ex-husband Salman Rushdie’s memoir Joseph Anton, model and culinary savant Padma Lakshmi tells her side of the story, along with a handful of comfort food recipes. Love, Loss, And What We Ate opens on a promising, often evocative, footing. She’s gracious through the recounting of her high profile marriage and divorce, compelling when talking about her early childhood and fiercely independent mother, and canny in her self-deprecations (“silly little cookbook”). Her descriptions of life within her grandmother’s kitchen are charming and familiar. Even a chutney of discarded citric rinds as a metaphor for how her grandmother dealt with the bitterness of marriage doesn’t ring twee. While we’re still reeling at her word choice, we’re introduced to her second stepdad Peter, whom she hates. He is a “lower-caste” Fijian Indian, with a “crude, beast-like ignorance”. What follows includes references to his “stench”, his “ugly” Hindi accent, and “some inferior poni grain” he eats instead of basmati. She wants her mother to be with someone more “cultured”. This vitriol is reserved for only for Peter, who is still her mother’s partner, as well as her own daughter Krishna’s favourite grandparent. By contrast, her mother’s second husband, whom she divorces when he doesn’t believe that a relative of his has molested the young Padma, is merely “pretty darn handsome”. The casteism, classism and colourism on display are guilelessly entitled, with neither self-reflectivity nor shame. The author – well-travelled, well-heeled, well-connected, speaker of half a dozen languages and self-proclaimed bookworm – has no excuse for her lack of sociopolitical intelligence or conscience. At the very least, somewhere between her late partner Teddy Forstmann’s philanthropy and the Rousseau she thanks Rushdie for handing her in the acknowledgements, a little tact would have served her well. Perhaps unable to recoup after this ethical failure, or perhaps because Lakshmi’s early style gradually gives way to a tabloid-friendly one, the narrative simply begins to bore. And then she chucks another jawdropper. The first non-breast milk meal Lakshmi gives her daughter are a few sips beef broth at a hawker stall in Singapore. The result? Brahmin guilt. “I prided myself on how well one could eat following a Hindu Brahmin lacto-vegetarian diet. I had extolled its virtues on many occasions and truly believed in its merits. I know what had happened, while an accident, was also karmic retribution for all the bodies of animals I had consumed in my life and career in food”. Yes, really. Who would have known that the saffron brigade had an ally in the glamourous Lakshmi, who without irony refers to her ex-husband as a “fundamentalist atheist” and to herself, repeatedly, as a “secular Hindu”? After watching the author eat everything from live snails to her own placenta, it’s the reader who’s left with a bad taste in the mouth. Love, Loss, And What We Ate is really a book about men – a series of partners whose influence and guidance shaped Lakshmi’s life. She plays the ingénue often, and credits everything from her sartorial sense to her gastronomical savvy, and even this — her writing — to a lover. She does not memorably detail even a single non-related female friendship or mentorship. Most disappointingly of all, as co-founder of the Endometriosis Foundation of America, Lakshmi speaks only about her experience of the disease, not the work of the foundation, or its impact. With the exception of her mother, she does not weave in other female narratives of struggle and success – be they on the catwalk, in the culinary world, or in any of the many spheres of her experience. Her feminism begins and ends with the desire to date more than one man at once – a desire she quickly regrets once she realises she doesn’t know who has fathered her child. 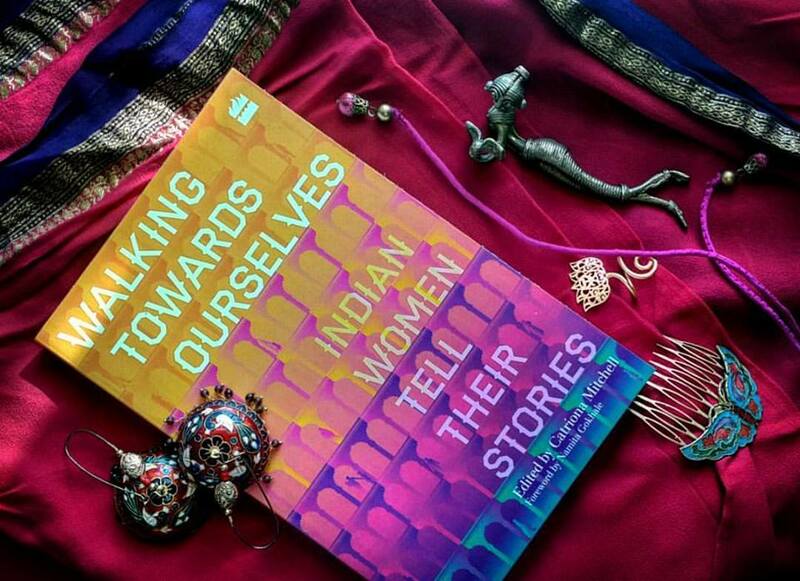 But there is a singular feminist saving grace in this memoir, and that is the other Ms. Lakshmi – her mother. 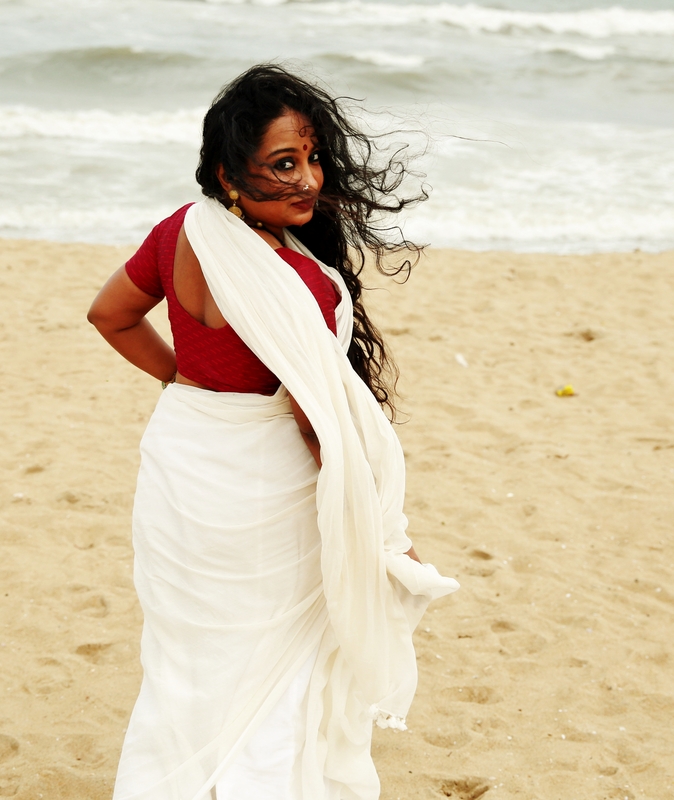 Vijaya Lakshmi’s journey is a tale of its own, beginning with an arranged marriage in which the groom cheats on her on their wedding day, and a divorce after which she endures a two year separation from her child. Upon her arrival in the US, she takes her mother’s name as a surname, abandons her limited diet, dates and falls in love, has the courage to leave marriages, explores what the world has to offer, and even takes her daughter to a nudist beach. None of this is typical for her generation, and in the Chennai they still call home, it isn’t even typical for her daughter’s. It is the story of this dedicated nurse – who keeps fruits in the fridge for her terminal patients, and manages somehow to save enough money to give her daughter Indian vacations, skating rinks, and myriad pleasures – that is ultimately the maverick one. An edited version appeared in The Hindu Business Line’s BLink. Some people know they’re depressed when they can’t eat or sleep. I know I’m depressed when I stop giving a damn about what I’m wearing. I’m a huge believer in what Tim Gunn called “the semiology of dressing”; my ostentatious collection of attire and accessories – stacked, scattered or in storage – colour my allegiance glorious. From fluorescent pink bras to huge hibiscus hair ornaments to boat-shaped bags you could zip me into, I have it all, and then some. Ever since I began choosing my own clothing, I’ve taken this liberty and spun carousels with it. In college, I enjoyed semesters of never repeating an outfit. It wasn’t as though I set myself a challenge. I just had that many clothes and that much imagination and that much disrespect for the humility required in the face of Institutions. My passion for fashion has often been privileged over common sense. I own a red feather boa, after all. I’ve stalked through international business districts in cowboy hats and feathered ornaments. I went to church the other day draped in a black wool crotchet poncho. In Madras. In May. Because that’s just what I think I should wear to church. It helps me feel, you know, spiritual. Whatever sins I confessed to, rest assured they were not sartorial. Get off your holier-than-thou clotheshorses, I’m only kidding (but not about the poncho). For more drastic consequences than death by flamboyance, consider this: I’ve done dozens of spoken word readings, but excepting a few truly special ones, pretty much all I recall about most involves what I wore. When I did my first solo show a year ago, I embarked on several expeditions seeking the perfect outfit. I settled on thigh-high leopard print boots and a brown kurta worn as a dress with a huge waistbelt. I spent the afternoon before the event hand-stitching the kurta to my shape. I wrote my set list in the taxi on my way to the show. Do I dress for men? Absolutely. I also dress for women. I dress for pets. I dress for plants. I dress for praying and flights and to hang out by myself. I dress to drink black coffee at 1a.m. and dance around in my sister’s room for an hour and incur her wrath. I dress because if God had wanted us to be drab, She wouldn’t have created the bias cut and the body to carry it off. I also dress down. I do the typical Fab India kurta and jeans work thing. I tie my ridiculous Draupadi hair up. When I really need to get serious, I even wear my glasses. It’s all about aura. And as the most cunning coquette will tell you, sometimes it pays to keep it toned down. I’m a slave to my narcissism, alright. Stoned on my own sensuality (and greatly bolstered by my uncanny ability to spot rock bottom bargains). Vainpot? Yes. Victim? No chance. What I do, dressing up and down and occasionally upside down – it’s not what a magazine or a man or a mannequin told me is expected of me. It’s not under someone else’s power. There is one dogma I live by, and it is this. Anais Nin wrote: “Women always think that when they have my shoes, my dress, my hairdresser, my makeup, it will all work the same way. They do not conceive of the witchcraft that is needed. They do not know that I am not beautiful but only appear to be at certain moments”. And that’s my secret. Because it is power. And all of it, every last bead and hook and the divine proviso of femme fatale-ness vested within, is mine.